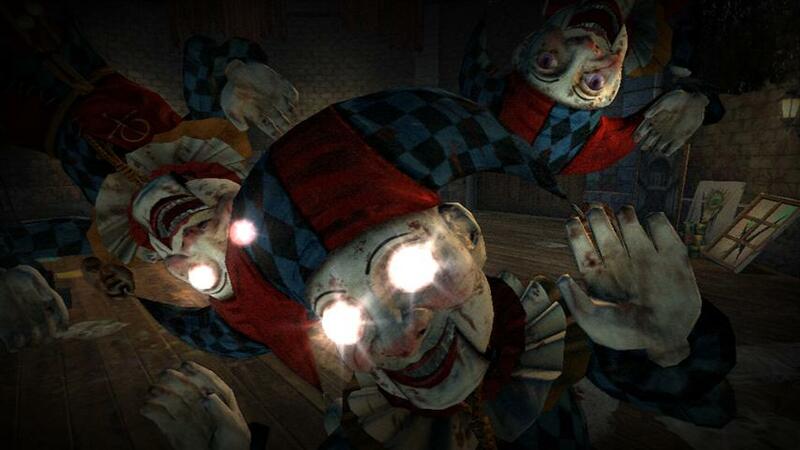 Rise of Nightmares 360 Review. 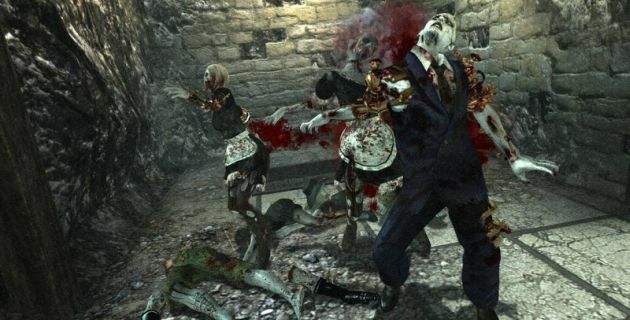 Rise of Nightmares is a fun game that harkens back to the House of the Dead series and with the controllerless capabilities, it definitely takes this genre to a new level. The Kinect is riddled with games aimed at children and more particularly some of the third party games are rather lacklustre and basic. The Kinect is easily one of the most unique and innovative control systems of the 21st century, however many developers have failed to create something engaging and more importantly entertaining with this control system. There have been a few decent games such as Child of Eden and Kinectimals which are definitely the standout titles. However as it goes with controllerless gaming, the launch of the Kinect has been more of a fizzle then an explosion. Fortunately, SEGA have come to the rescue with their latest mature orientated game entitled Rise of Nightmares. 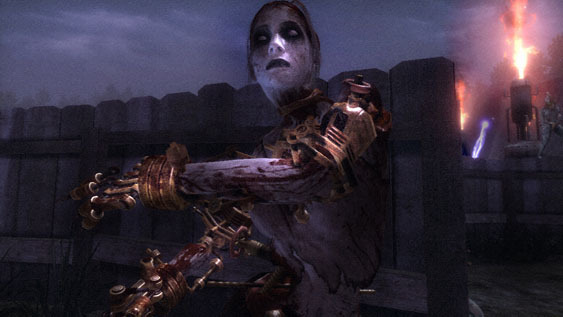 At its core, Rise of Nightmares is a survival horror game that uses the controllerless capabilities quite well as gamers are transformed into Josh, protagonist and hero to the story which forces him to search for his wife who has been kidnapped by a hideous creature aboard a train in Europe. From an impressive opening, it is up to the gamer to pick up the pieces and after the derailing of your train caused by the creature, you and a group of survivors must make your way to civilization. However when you discover a mysterious mansion nearby, let's just say that it wasn't the smartest decision for these group of survivors to make... welcome to Rise of Nightmares! In terms of controls, the developers have done a brilliant job in catering for the uniqueness of the Kinect but be warned that this game is quite physical so if you're looking to lounge around in your couch, you should probably look elsewhere for your gaming fun. Part of the charm of Rise of Nightmares is that by being interactive with the game, physically, you feel more part of this clichéd horror survival story. Navigating the environment does take a little time getting use because you use your body, more particularly, your feet to move. By moving your foot forward, this causes your character to walk and depending on how far you reach out, this will determine the sp+eed of how fast you move. The camera angle is also controlled by the player as it monitors where your shoulders are and depending on which one you are moving, this will move the camera in that particular angle. Given that this is a full Kinect game, the controls are not 100% but developers are slowly coming to terms with the limitations and capabilities of Kinect. If the movement does become a little annoying, the game can assist in this process but I was quite surprised at how well the Kinect worked. You interact with objects by holding your hand out such as picking up items, accessing doors or climbing ladders. There are some interesting Kinect Quick Time events that do you require you jump or dodge and like I said, it’s quite physical. There are even some swimming areas which require you navigate and some great scare scenes where you need to cover your ears unless you want to take damage from the hellish screams. Graphically, Rise of Nightmares is a decent enough looking game on the 360 and really plays on the horror genre quite well. Even some of the scares are a little over the top but fortunately the background environment, characters and special effects are well made. Voice acting is a little tacky as is the musical score but it suits this premise perfectly. It’s definitely one of the better looking Kinect games and does have elements of SEGA’s House of the Dead. 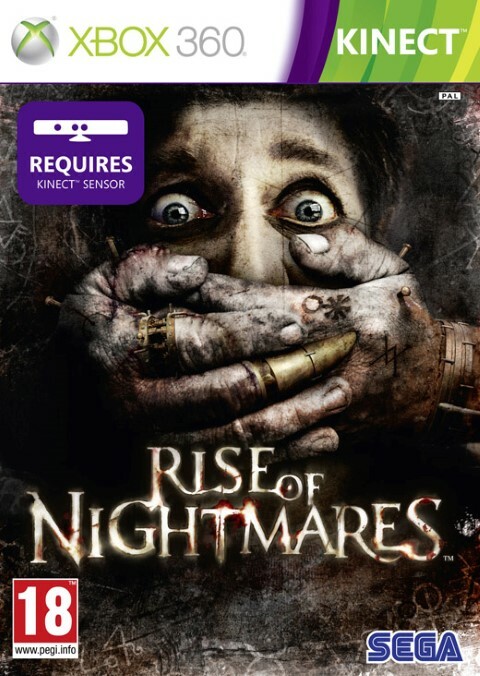 Rise of Nightmares is a fun game that harkens back to the House of the Dead series and with the controllerless capabilities, it definitely takes this genre to a new level. This makes it a much more immersive experience. In terms of originality, the gameplay is not the most original content of the year but as a Kinect title, it works quite well. Let’s hope we’ll see some more adult content for the Kinect.